Showcase your product in these clear PET plastic bottles. High quality PET plastic is a durable and convenient choice for cosmetics, hair care, or natural cleaning products. These bottles are food grade and clear PET plastic offers glass-like clarity to display your product. 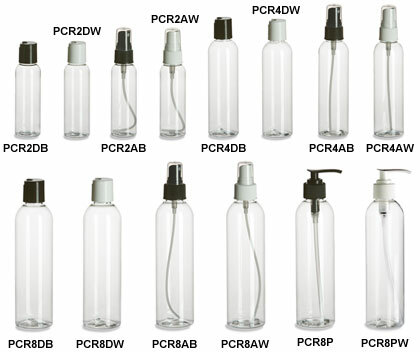 Each bottle comes with choice of closure: pump, atomizer, disc cap or standard cap in either black or white.